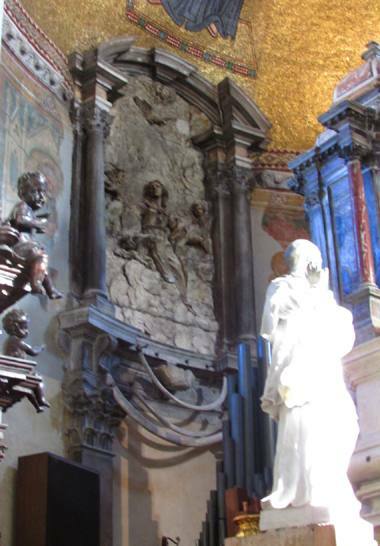 Santa Maria e San Donato church. The “dragon bones” are kept behind the altar. 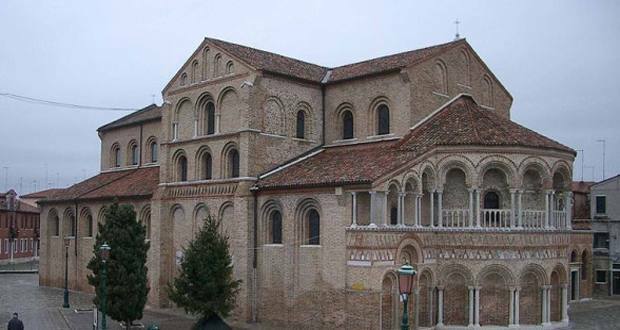 The remains of both St. Donatus and the “dragon” he slayed (some say most likely the ribs of a large mammal) were brought to the church of Santa Maria e San Donato on the Venetian island of Murano in the 12th century, from Byzantine Greece.